Think of the skin as a fine piece of silk — one tear can alter the look. For those who have scarring, there are ways to diminish their appearance. 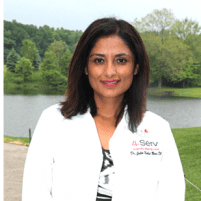 Make an appointment to visit Flawless Medical Spa in Livonia, Michigan to see Dr. Kalsi today. Skin is a functioning organ; in fact, it is the largest organ. As everyone knows, any injury, trauma, or burn can cause a scar to develop. Scars are long-lasting, and most of the time, stick around for life when they are left untreated. A small scar that is relatively easy to cover up generally does not bother most people. Others are prone to showing off their scars as if they were trophies. However, for some, scars are quite embarrassing and unsightly. For someone with such a scar, they know all too well the impact that scarring can have on their self-esteem and confidence. The type of scarring dictates the ability to diminish the appearance of a scar and available treatment options that one has. At Flawless Medical Spa, clients are offered several treatments to diminish the appearance of their scarring. Dermabrasion, exfoliation, glycolic peels and laser treatments can significantly improve the way that a scar looks. For those with any scarring that they would like to treat, contact a representative of the spa’s excellent team today and make an appointment to see Dr. Kalsi. Flawless Medical Spa can help anyone regain confidence and self-esteem as his or her scars are erased.